You can make an addition to student success through payroll deduction! As Stan State employees, you commit yourselves every day to making our University a great place to be and a center of learning and culture for our region. Your hard work matters to our students, alumni, parents and friends. Whatever the reason and whatever the designation, faculty and staff gifts to the University speak volumes about Stan State as a place for philanthropic investment and show your pride in our institution. 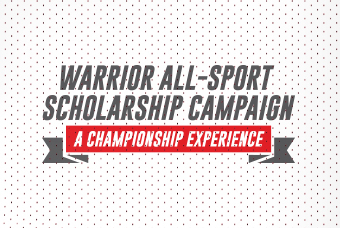 Employees can direct their gifts toward scholarships, the colleges, athletics, or a program that you’re passionate about through a payment option that works best for you. Like many of our CSU sister campuses, Stanislaus State offers faculty and staff the opportunity to enroll in payroll deduction for charitable giving to the University. This is a voluntary program through which you have the opportunity to become philanthropists on our campus. You pledge a specific, self-determined amount (a minimum of $5 per pay period) which is then deducted from your paycheck and applied to the campus fund/program of your choice. Payroll deduction is easy to budget, tax deductible and rewarding. It also saves you time and helps the environment. Fill out a payroll deduction form today and submit it to University Advancement. Each pay period, gifts are deducted and allocated to the fund designated by the employee donor. For more information or questions about employee giving, please contact our University Advancement Team at (209) 667-3131.